A smorgasbord of experiences for your senses awaits you at the exciting Cardiff Bay! Let delicious food tantalize you, water expeditions bring out your inner adventurer, explore the different buildings dedicated to science, entertainment, nature and art and a cycle down the barrage that separates the lake from the sea. Whether you’re sporty, artsy, like science or science fiction, or just want a fun day outside, the Bay is the place to visit. This Bay, once called ‘Tiger Bay’, was home to sailors and workers from over 50 different countries, with residents of Somalian, Norwegian, Spanish, Italian, Caribbean, Irish and Greek heritage. It was once used to export coal and was thus a key player in powering the Industrial Age but started fading away post the Second World War. It was the 1990’s that saw the Bay transform into the incredible entertainment hotspot that it is today. Restaurants and pubs share space alongside numerous famous and important buildings. Outdoors or indoors, there are numerous activities to choose from alongside casual sight-seeing. 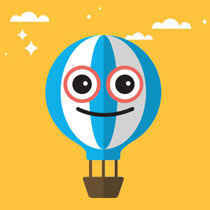 Want some fun in the sun, with the wind in your sails? Then hop onto a ferry and sail across to the Penarth to begin sight-seeing. Boats coming in from the Bristol Channel and mooring near the barrage will greet you, as will the sunny skies and refreshing winds if it’s a good day. If you want to take command of your own vessel, the Boathouse Self-Drive Boat Hire will help you do just that but if you want a guided tour, visit Cardiff Boat Tours. For a mix of both, set sail as a part of the crew on ‘Challenge Wales’. Another way of viewing all the sights on the Bay is by renting a bike from Pedal Power and pedaling powerfully down the Cardiff Bay Barrage. 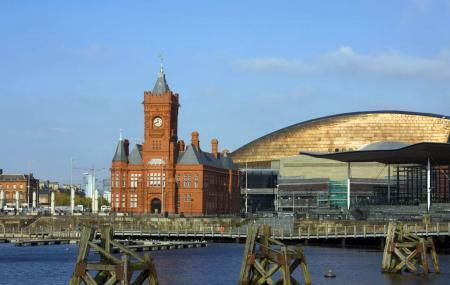 If you’re hungry for a bite of Welsh history, then the Pierhead and the National Assembly for Wales will satisfy you. The former is a stunning public space, done up in green and terracotta, where visitors can witness the Bay’s change of landscape over the years. The National Assembly, or Y Senedd, offers a range of facilities for visitors which will enable you to learn more about the political machinery of the country. Techniquest, the UK’s longest established science centre, will enthrall people of all ages and tickle the scientist in you. Whether you’re a fan or not, the famous Doctor Who Experience, which is a multi sensory exhibit, is sure to be a hit. Art lovers, ahoy! The Wales Millenium Centre, Craft*folK, The Norwegian Church Arts Centre and the Makers Guild are home to various exhibitions and galleries. You can also spend time appreciating the fine craftsmanship of the boatmen who built the vessels in World of Boats. Nature lovers can treat themselves to a scenic view of Flat Holm Island on high speed RIB boats, courtesy Bay Island Voyages. You can also immerse yourself in the beautiful local flora and fauna of Wales in the stunning Cardiff Bay Wetlands Reserve. There are numerous ways to entertain yourself, from pubs and shops to The Glee Club, which is like honey to bees who like musical concerts and comedy nights. Call the Visitor Centre for more info. Cardiff Bay Visitor Centre is ideally situated to meet and greet visitors to the Bay, providing information, maps and leaflets to suit everyone's needs. Accommodation bookings can be made at the centre and various tickets can also be purchased. If you are visiting Cardiff Bay for a long or short stay, there is always a medical service nearby, from general medical services to eye care. If you’re coming by car, from outside Cardiff it's easy to reach the Bay from the M4. Either leave at Junction 33 and follow the A4232 all the way to the Bay, or if you're coming from the east you can also leave at Junction 29, take the 3rd exit off the A48 and follow the signs to Cardiff Bay. Visitor Centre opens at 10.00 am to 06.00 pm. The Cardiff Bay Visitor Centre will be open 7 days a week from 10am to 6pm, with extended opening times on performance nights. By bus: To get between Cardiff city centre and Cardiff Bay, just hop on the BayCar or 'Bendy Bus' (no.6). By boat: The aquabus runs a regular time tabled service between Cardiff city centre and Mermaid Quay, including the Barrage. How popular is Cardiff Bay? People normally club together Penarth and Wales Millennium Centre while planning their visit to Cardiff Bay. People also prefer to end their day with Cardiff Bay. The area is full of pubs and restaurants. Also if you`re lucky there is a theme park which might be open. I highly recommend it to go visit it during the summer. Nice place to visit not very clean but nice the people there are very kind and helpful if you don't know where you are going there are a ton of shops around no matter where you are and pubs mostly older people around all of the people in the shops are very kind and helpful and the shops are clean and very tidy and cheap. I do think that they could do with some people cleaning up outside and people helping around and helping about. Cardiff Bay overall is a nice place to walk around especially on a Sunday as it is nice and quiet. There are a few restaurants and shops located around the bay as well as some tourist attractions close by, yet over the years I feel personally, the bay has lost its lustre as more apartment blocks are being built around it which sometimes takes away from the bay. I love Cardiff Bay, whether it's the restaurants, bars, shops, wildlife sanctuary, barrage, photography, or cycling all the way round, it has always got something to offer. A triumph of inner city rejuvenation. Cardiff Bay is the best reclaimed estuary in Wales. The urban design is very modern and the bay area is a very popular place for a walk or a meal. Wales Millennium Centre and Royal Welsh College of Music & Drama are a couple of places in Cardiff Bay where you will find interesting events happening throughout the year. Not much is known about particular concerts happening on 14th and 15th October.